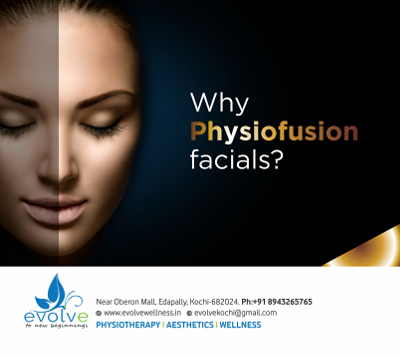 How enhanced Physiofusion facial help? 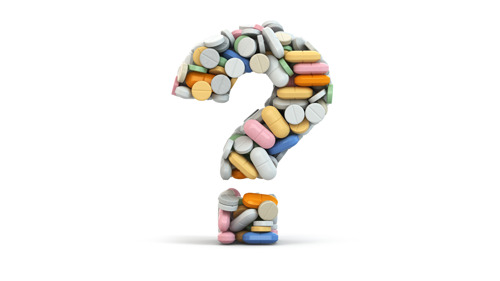 Highly-refined facial treatments - safe, non-invasive, multi phase and can yield immediate results. 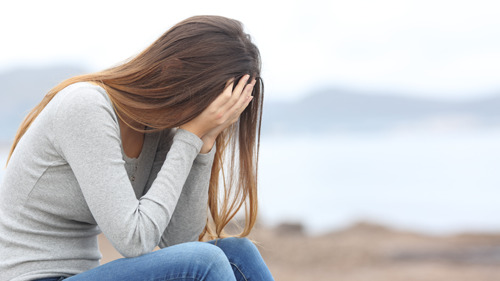 'Physiofusion' facial is rapidly becoming the most popular facial therapy. 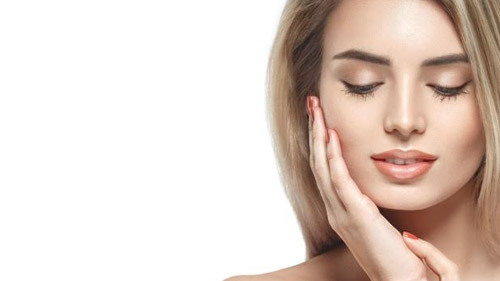 We've taken the best equipment from our range of facial therapy and combined them to create a uniquely effective and relaxing treatment, that is only available at Evolve Wellness. 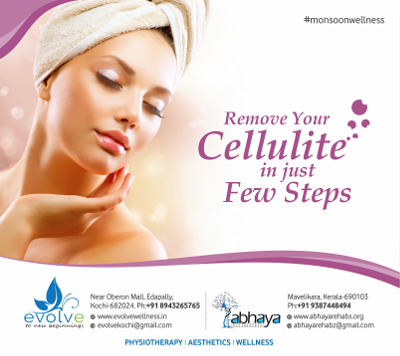 Cellulite is essentially the result of fat cells, trapped toxins and water in the uppermost layers of the skin. 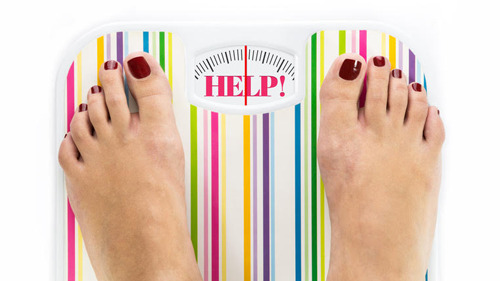 Research suggests that cellulite is related to the female hormone oestrogen, which is why women suffer from it. 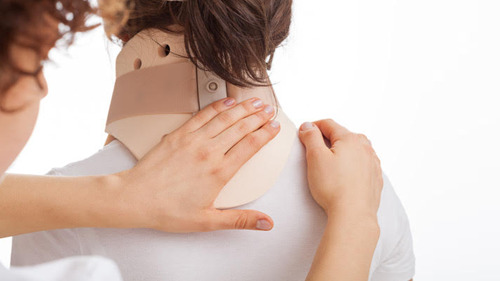 All muscles in the body are covered with a padding of fatty, connective tissue, which varies in thickness, and is surrounded by a liquid, supplying nourishment and removing waste products. 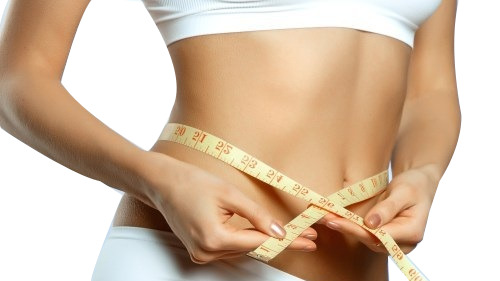 This fatty tissue is held in place by a network of fibers, and when the system works well, all waste products are removed, resulting in smooth body curves. 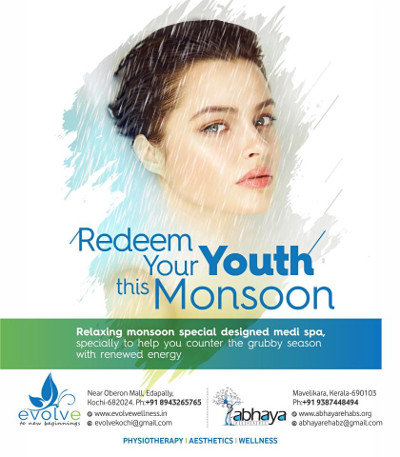 Redeem your youth this monsoon! With the #monsoon upon is in full swing, a rejuvenating #medi #spa session is the perfect way to make you day worth the while. Evolve Wellness, now introduces a relaxing #monsoon special designed medi spa, specially to help you counter the grubby season with renewed energy. Why a spa in the monsoon?